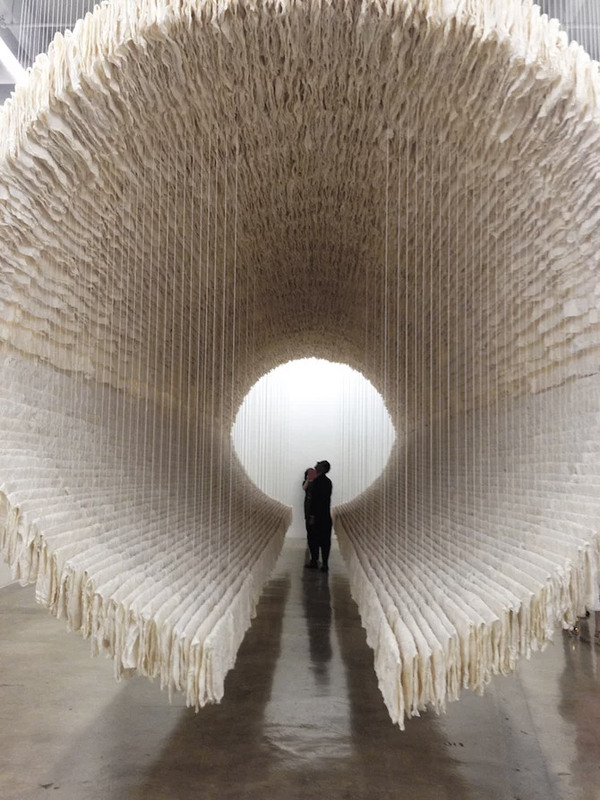 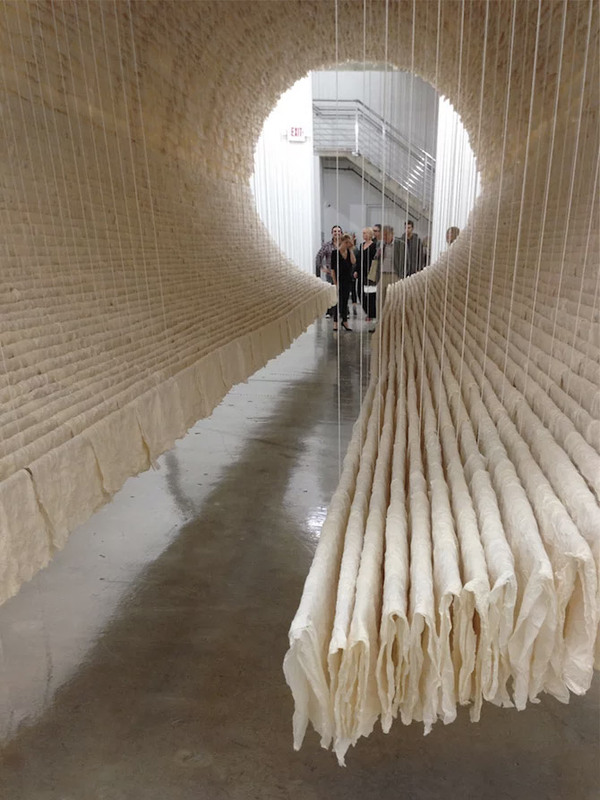 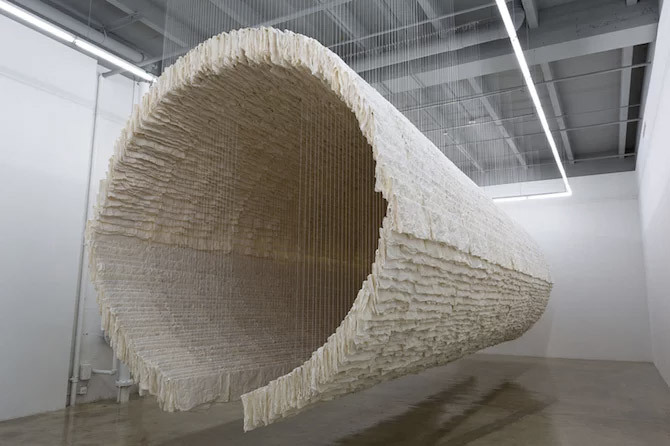 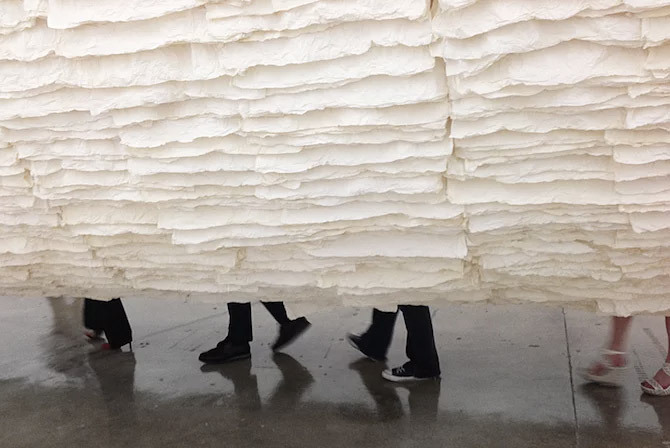 Chinese artist Zhu Jinshi’s 12-meter long installation is made of 8,000 sheets of Xuan paper draped on pieces of bamboo suspended from the ceiling. 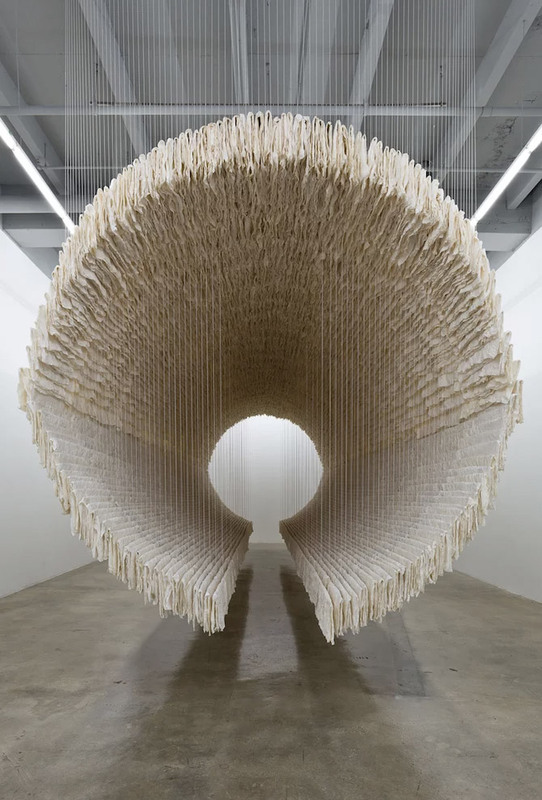 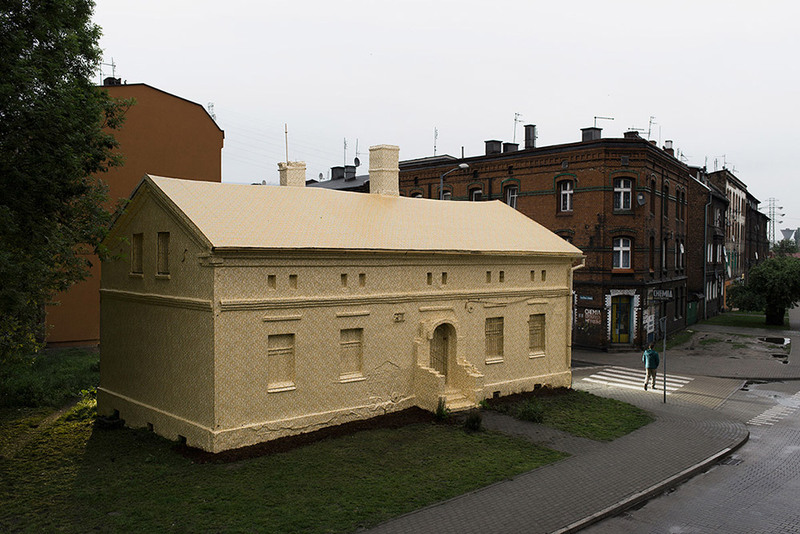 The overall effect is something like a tunnel (which viewers are encouraged to pass through) reinforcing the theme of journeying from one place or culture to another. 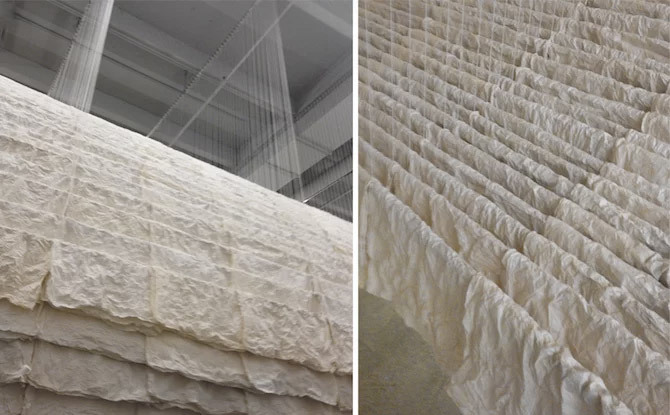 More images of Jinshi’s “Boat” below.